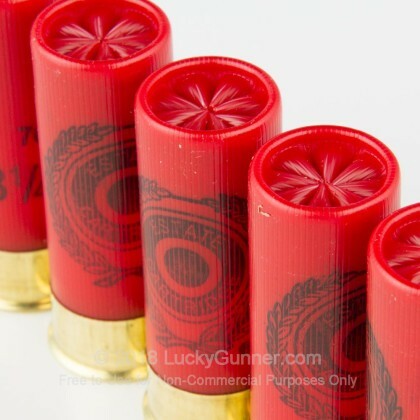 The 12 gauge shotgun has been around longer than almost any other extensively used firearm in the world and is the most popular shotgun in the United States. 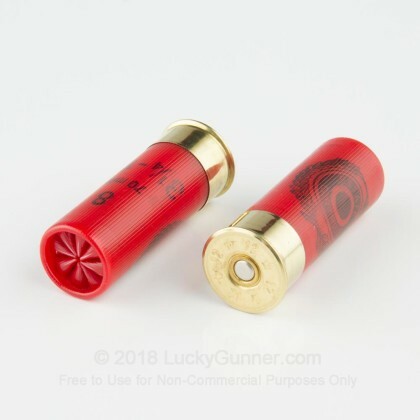 With its phenomenal power and massive payload, it is amazing for any type of close range shooting you need to do, whether it be defending your family from home invaders, smashing targets at the range, or putting meat on the table. 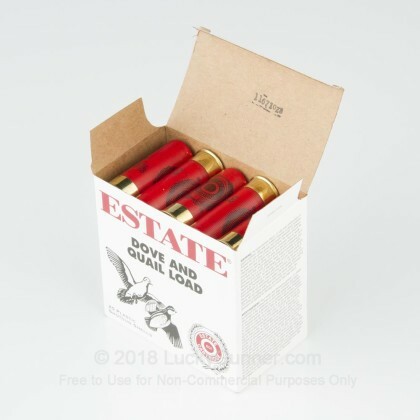 Estate has been the leader in marketing, distributing, and manufacturing shotgun ammunition for years and is one of the best companies to get your shotgun shells from. 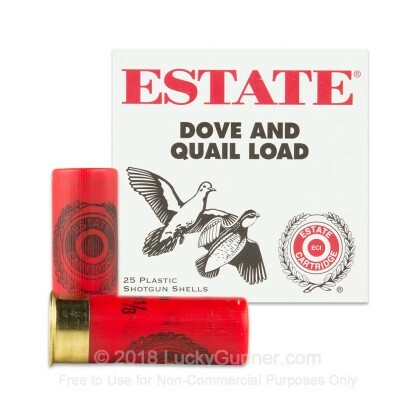 With these Estate Dove and Quail, 2 3/4", 3 1/4 dram, 1 1/8 ounce, #8 shot shells, firing at 1255 feet per second, you will have no trouble bagging those elusive small birds. 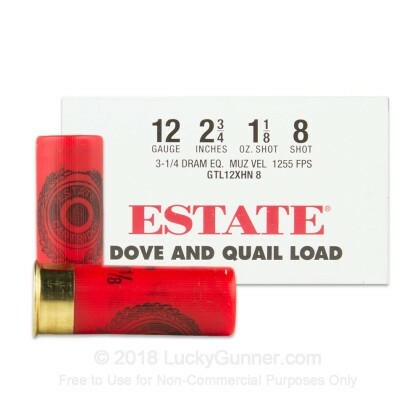 We don't have any reviews yet for this particular 12 Gauge ammo from Estate Cartridge. 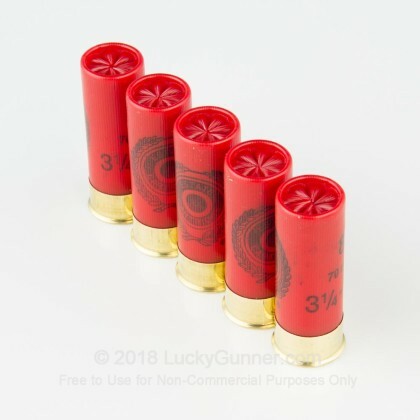 If you'd like to be the first to review this particular 12 Gauge ammo from Estate Cartridge, fill out the form below.